Died: 20th April 1915; KiA. Enclosure No. 4. XI. AA.51. 1891 5, Victoria Place, Ipswich. James was 16 months old and living with his parents & brothers. Joseph Stannard, 33, a Blacksmith, born Sandown Barracks, Isle of Wight. Alice Stannard (nee Baldry), 32, born Sproughton, Suffolk. Joseph Stannard, 12, born Sproughton. William Stannard, 7, born Sproughton. 1901 13, Gipping Street, Ipswich. James was 10 years old and living with his parents & sisters. Joseph, 43, a Shoeing Smith. Alice Stannard, 7, born Ipswich. Emily Stannard, 4, born Ipswich. 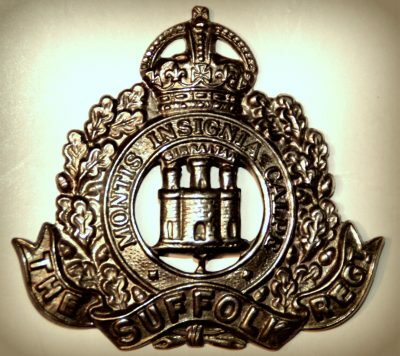 James was 20 years old, a Soldier for the Suffolk Regiment. Soldiers’ Effects to Alice Stannard – mother. James is also remembered on the war memorial at St. Nicholas Church, Ipswich.